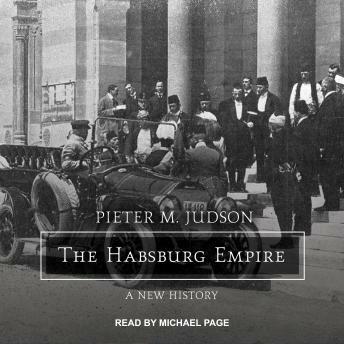 In a panoramic and pioneering reappraisal, Pieter M. Judson shows why the Habsburg Empire mattered so much, for so long, to millions of Central Europeans. Rejecting fragmented histories of nations in the making, this bold revision surveys the shared institutions that bridged difference and distance to bring stability and meaning to the far-flung empire. By supporting new schools, law courts, and railroads, along with scientific and artistic advances, the Habsburg monarchs sought to anchor their authority in the cultures and economies of Central Europe. A rising standard of living throughout the empire deepened the legitimacy of Habsburg rule, as citizens learned to use the empire's administrative machinery to their local advantage. Nationalists developed distinctive ideas about cultural difference in the context of imperial institutions, yet all of them claimed the Habsburg state as their empire. The empire's creative solutions to governing its many lands and peoples-as well as the intractable problems it could not solve-left an enduring imprint on its successor states in Central Europe. Its lessons remain no less important today.